A small change can make a big difference. Match your mood and style with vibrantly colored, easy-to-change wristbands. The durable silicone wristband of the waterproof A300 is light and comfortable to wear. Train to your own beat with Polar H7 heart rate sensor and make sure your every move is counted for. Finish strong and feel great! Complete each training by analyzing results in Polar Flow web service and app. Getting enough quality sleep is important for your wellbeing. The A300 automatically clocks both the moment you start sleeping and wake up, and wakes you up with a gentle vibration. Follow your sleeping patterns in Polar Flow to find the right balance of training, daily activity and rest. 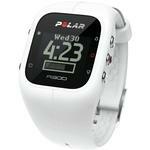 Check Polar Flow for more details about your daily activity, training and sleep -– it’s both addictive and motivating! Follow your active choices on a monthly basis in Diary view, including calorie expenditure. See the progress you’re making toward a fitter you. 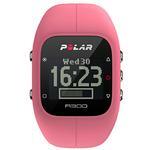 Following Polar`s success in traditional HR monitors, the Polar A300 is the beginning of new era of fitness monitors. 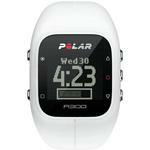 In addition to the familiar HR based Polar smart training features, the A300 also includes daily activity tracking with mobile connectivity to Polar’s Flow application. A300 follows daily activity, sleep, steps and calories. Flow web service and app explains the benefits your active choices bring each day. HR based training guidance helps you to train right to improve your fitness. Changeable wrist straps with trendy colors make sure A300 fits to every style. 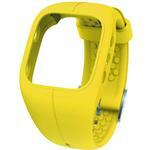 Tracks your daily activity at different intensity levels, and shows steps, distance and burned calories. When paired up with Polar H7 heart rate sensor, measures your every heartbeat and lets you know if you’re mostly burning fat or improving your fitness. 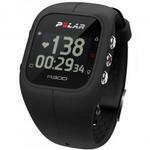 Gives the most accurate calorie burn in heart rate based training. Free online community and service that helps understand the impact of your activity and see the long term progress you make. Your daily activity goal and guidance on how to reach it. Vibrantly colored wristbands are easily changed to reflect your mood and style. Feedback about your daily, weekly and monthly activity. Shows exactly how many calories youve burned. Charges conveniently with a simple plug and play USB. Tells you exactly how your fitness is progressing by measuring your aerobic fitness at rest and evaluating your maximal oxygen uptake. Vibrates when youve been sitting still for too long. Automatically tracks your sleep time and quality. See and learn from your sleeping patterns in Polar Flow web service and app. Connect your fitness app or training device with Polar H7 and get real-time, accurate heart rate while you train. 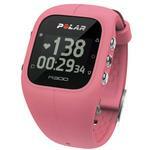 You can use Polar H7 with a number of Polar products and compatible gym equipment. Compatible with iPhone 4S and later, and with selected Android devices including Samsung Galaxy S3 and S4 using Android 4.3 or later. Try the A300 with different colors. A small change can make a big difference. 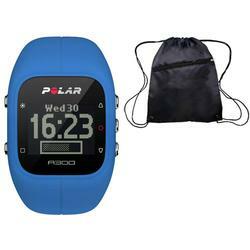 Customize your waterproof Polar A300 fitness watch with easy-to-change wristbands to suit different moods and styles.